Marshes, ditches, lake shores (often in shallow water), edges of pools and streams, cedar swamps, and bogs. Apparent hybrids with C. comosa and C. hystericina are occasionally found. MICHIGAN FLORA ONLINE. A. A. Reznicek, E. G. Voss, & B. S. Walters. February 2011. University of Michigan. Web. 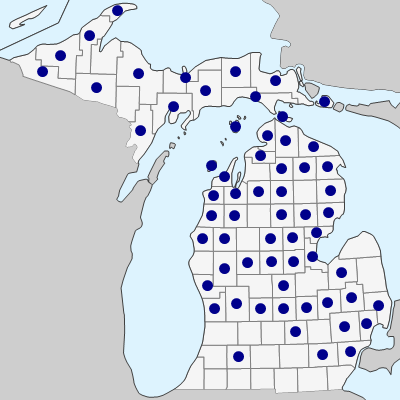 April 24, 2019. https://michiganflora.net/species.aspx?id=1034.